Dammit, Bravest Warriors bendy action figures, I am trying to Christmas shop here. Dammit, Bravest Warriors bendy action figures, I am trying to Christmas shop here. 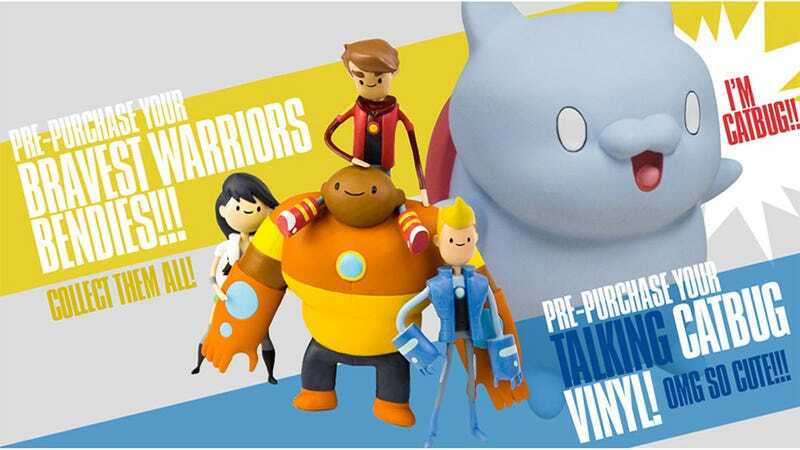 Pop Culture Shock Collectibles has teamed up with Frederator Studios to create toys based on shows like Bravest Warriors and Bee & Puppycat. Thismeans that every time I go to WeLoveFine to buy Doctor Who leggings for my wife, I am being severely tempted instead. Jerks. Awesome jerks.